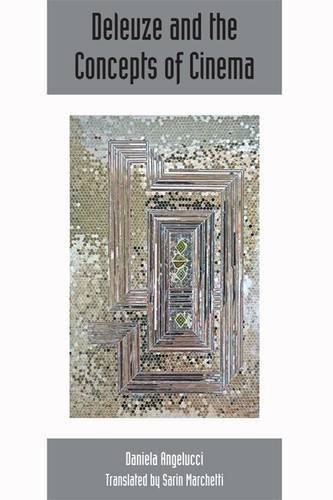 Description: This is a significant exploration of some of Deleuze's key concepts and an excellent introduction to Deleuze's Cinema books. Presented as part of this special issue of Deleuze Studies is the complete text of Daniela Angelucci's book Deleuze e i concetti del cinema. Translated by Sarin Marchetti, Deleuze and the Concepts of Cinema takes up Deleuze's idea that the true objects of the theory of cinema are the concepts that cinema generates when understood as a practice of images. In this sense, philosophy alone is able, as Deleuze argued, to 'constitute the concepts of cinema itself'. Deleuze and the Concepts of Cinema is both a significant exploration of some of Deleuze's key concepts, as well as an excellent introduction to Deleuze's Cinema books, aiming to avoid, as Deleuze himself once claimed, a double reproach: namely, both excessive erudition - which makes the reading complicated and tedious - and exaggerated familiarity. Author Biography: Daniela Angelucci is Lecturer of Aesthetics at the Department of Philosophy, Comunicazione, Spettacolo at University of Roma Tre.